Do you remember the internet before Google and Youtube? Does Alta Vista ring a bell? How about AOL, Netscape, or Webcrawler? Before the World Wide Web became publicly accessible in the early 90s, there was FidoNet, essentially a network of what was then termed BBS (bulletin board systems). In 1988, Rabbi YY Kazen bucked all Chasidic stereotypes and informally started, what would later become known as, Chabad in Cyberspace or Chabad.org. He used those BBS networks to interact with thousands of Jewish techies and geeks who were similarly using the BBS to communicate with each other. He would field questions, he digitized articles & books and post them, sharing them as part of a Virtual Jewish Library. Over the next 10 years, until his untimely passing in 1998, he managed to form the core of the most successful Jewish presence on the Internet. In the 20 years since his passing Chabad.org has become the absolute industry leader of Jewish websites, receiving billions of hits on its network. Why would a Rabbi get involved in this? What inspired him “to boldly go where no Rabbi has gone before?” Weren’t Chassidic Jews scared of technology? 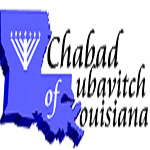 In connection with his 20th Yahrtzeit, his son, Rabbi Peretz Kazen of Chabad of Baton Rouge, will tell his father’s story and demonstrate the results of that vision from 1988. On Monday night, the eve 19th of Kislev, join us for Judaism: The Final Frontier. A festive dinner will be served and musician Daniel Gale will offer a harmonious overture of Chassidic melodies. The event is sponsored by an anonymous sponsor as well as the Rivkin and Horowitz families in memory of their mothers, Mrs. Miriam Gordon and Mrs. Ruth Cohen, whose yahrtzeits are on Kislev 20. Let us know that you will be there for this special event – rsvp@chabadneworleans.com or www.facebook.com/events/190689508476576.